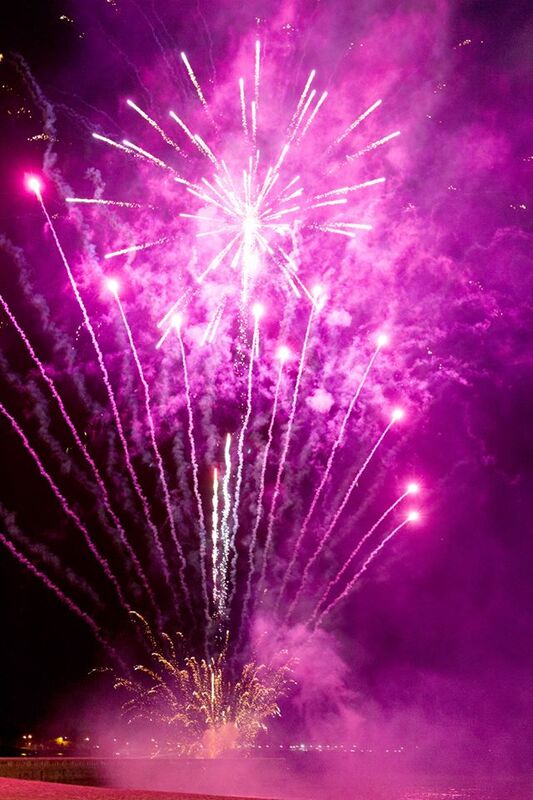 The perfect addition to any event... A professional Outdoor Firework Display by Blaso Pyrotechnics. We pride ourselves on producing high impact, exceptionally high content, custom designed fireworks displays with a commitment to our clients to bring the very finest of pyrotechnic artistry and professionalism to your event. Whether you’re organising a Christmas Carols or NYE Event, launching a product, getting married, celebrating an occasion or anything in between and are considering having Fireworks at your event, we would love to hear from you and like to thank you in advance for considering Blaso Pyrotechnics. We hope that we have the opportunity to make your event unique and unforgettable. There are many considerations in planning and executing a fireworks or pyrotechnics display, the good news is Blaso Pyrotechnics creates a turnkey production allowing you to focus on all of the other aspects of your event. Planning for each fireworks show starts with collaboration between you and one of our professional fireworks producers. We identify the constraints of your site and work together to develop a show that will both be spectacular and meet safety regulations. For information, help and advice in arranging a fireworks display for your event, we are always available to talk with you and remember there is no obligation or cost to discussing your plans and ideas with us. best thing is to give us a call and have a chat about what you have in mind and we will be able to make recommendations accordingly based on your venue, location, surroundings and vision. PYROMUSICALS - FIREWORKS TO MUSIC! Blaso Pyrotechnics have the ability to interpret music with fireworks conveying the emotion, climax, highs and lows of any soundtrack perfectly timed and choreographed creating an incredible and profound union of magic, imagination and technology. Fireworks are set off beautifully with music. Your choice of music is just as important as our choice of fireworks. Choosing an obscure piece of music that’s hard to recognize will detract from the display. The best solution is to choose a very well-known piece, or a personal favourite that the majority of your guests will be familiar with. You can even give the display a theme or set it to a popular movie soundtrack. If you are stuck for inspiration then let us use our expertise in picking the most appropriate music to match the fireworks, subject to your final approval of course! There is a special art to designing and firing choreographed firework. The secret is not just in selecting fireworks which reflect the pace and intensity of the music exactly, it’s also in the timing to peaks and moods throughout the soundtrack. For locations or venues in or built-up areas with close by neighbours, livestock or noise restrictions we also have the ability to present ‘Low Noise’ Fireworks Displays that have all the impact, wow factor and excitement of their louder counterparts just quieter. Low Noise Fireworks achieves a favourable outcome for both event organisers, relevant stakeholders and local surrounding residents where we are able to provide a display with product that do not produce loud bangs or reports. We enjoy designing low-noise fireworks displays as they rely solely on clever choreography and visual impression without the power and noise of a standard fireworks display. Fireworks have been used for centuries to commemorate special occasions - a recognised universal symbol of celebration, instilling a sense of positivity into the mind. A personal and unique way to commemorate the loss of a loved one - A celebration of life and unforgettable moment of reflection that will never be forgotten, handled with pride, love and respect by Blaso Pyrotechnics. SPONSORSHIP- MAKE YOUR EVENT STAND OUT! By incorporating fireworks, attendees will remember your event and its purpose, be it social, motivational, or promotional. A Blaso Pyrotechnics professional firework display, carefully and safely planned, can and will make a difference! Community support is very important to us and we strive to assist organisations where we can, to be able to make it possible for many community groups to have a fireworks display where they might not have otherwise. We make this possible through our local sponsorship program. Offering display fireworks at your event can and will make the difference in the success of your event. Outdoor Fireworks offer great entertainment value for the dollar. When planning an event with a limited budget let us know early and we can tailor a package that will include a sponsorship element. We encourage any suggestions and input that you or your sponsors may wish to contribute and are keen to help in fundraising ideas for your organisation to make it more successful. This may include the use of sponsor’s names and display naming rights, additional fireworks products or donation of prizes. All we ask is that our contribution is acknowledged through advertising or other promotion. With good planning and advertising, a fireworks display can be a huge draw to your community, to cap off a special event or just to celebrate a holiday. The event’s “WOW!” factor can range from a traditional, outdoor display with an emphasis on entertainment to an indoor, all action pyromusical display designed to impress with impact. However, regardless of the display’s scope, the glittery effects of fireworks create a positive feeling toward any event, and its sponsors. Please feel free to Contact Us to discuss whatever ideas you may have in mind. INTERESTED IN A FIREWORKS DISPLAY? need some info and advice? is based on our drive to create the safest, most memorable and spectacular fireworks and special effects presentations and displays possible!